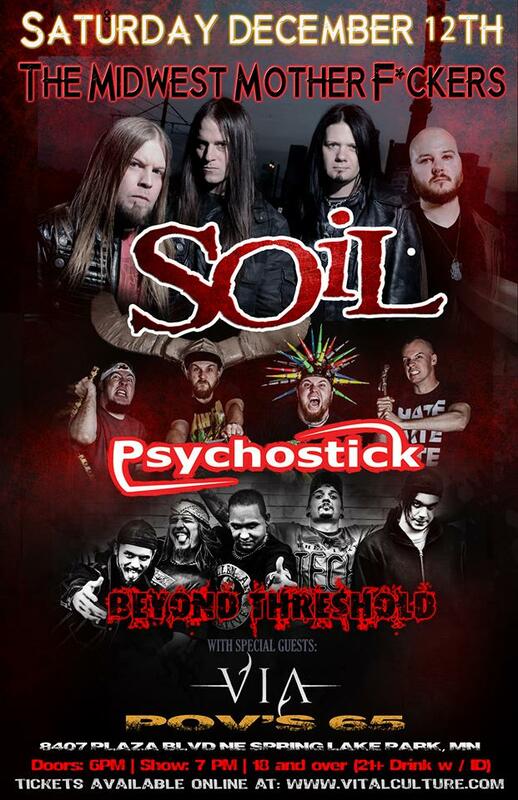 THE MIDWEST MOTHERF*CKERS TOUR: SOIL, PSYCHOSTICK, BEYOND THRESHOLD, VIA, SAMYAZA @ THE METAL GRILL, CUDAHY, WI THURSDAY DECEMBER 10TH, 2015!!! 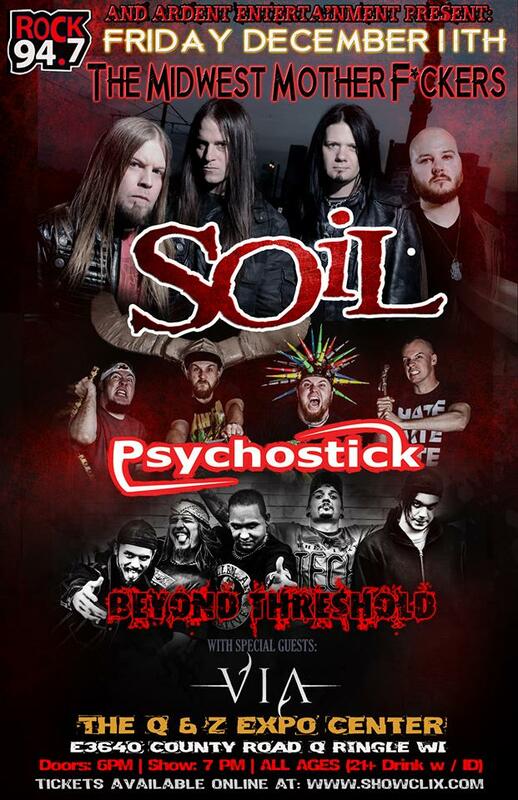 Posted in Music News | Comments Off on THE MIDWEST MOTHERF*CKERS TOUR: SOIL, PSYCHOSTICK, BEYOND THRESHOLD, VIA, SAMYAZA @ THE METAL GRILL, CUDAHY, WI THURSDAY DECEMBER 10TH, 2015!!! 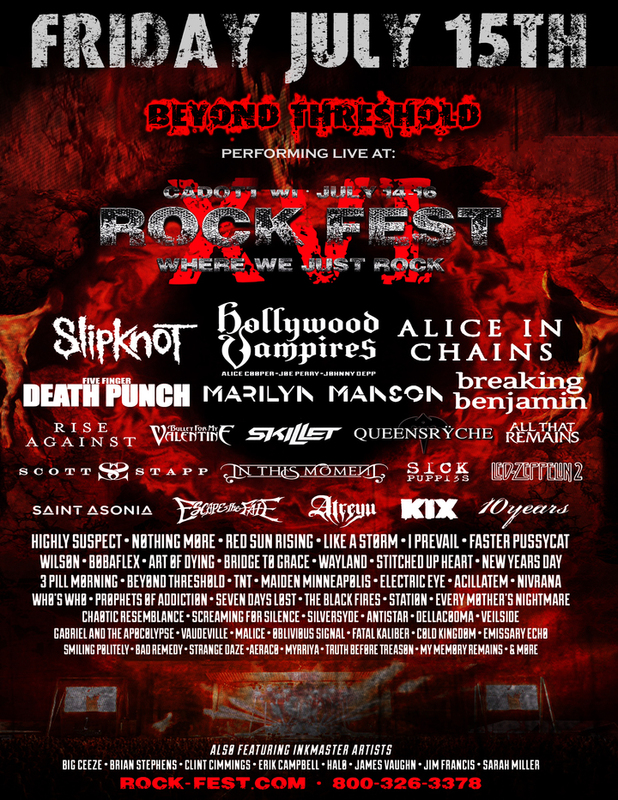 Posted in Music News | Comments Off on BEYOND THRESHOLD W/ KORN AT ROCK U.S.A. FRIDAY JULY 18TH, 2014 OSHKOSH, WISCONSIN!!! FRIDAY JULY 18TH, 2014!! Prepare to see history in the making!!! THE CONCERT EVENT OF THE SUMMER!! For those of you that miss the Ozzfest days at Alpine Valley Music Theatre!! 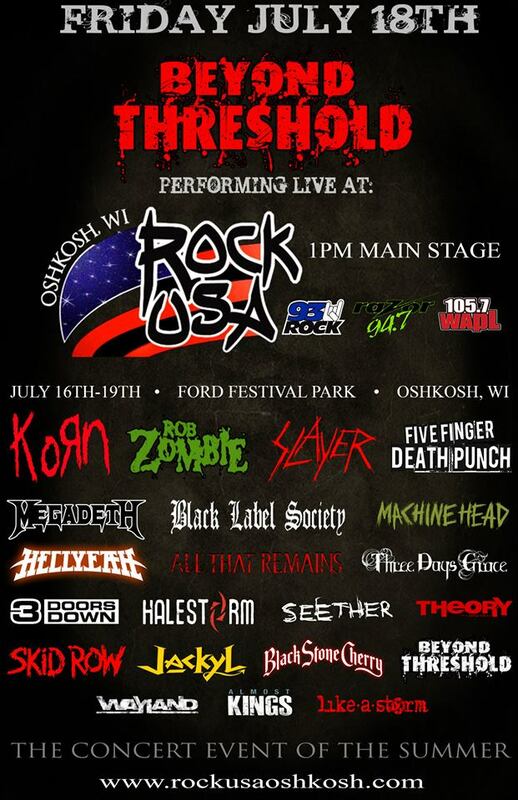 Check out Beyond Threshold on the main stage on Rock USA with Korn in Oshkosh, WI!!!!!!! We play 1PM sharp!!! 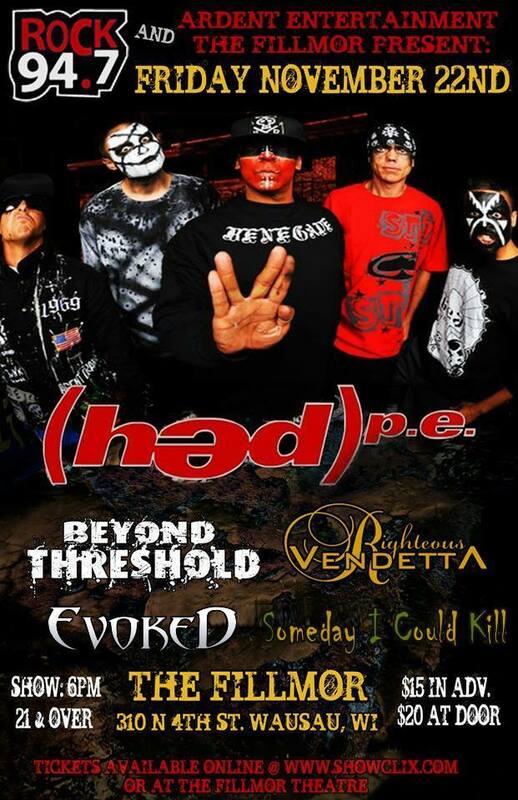 HED PE & BEYOND THRESHOLD at The Fillmor November 22, 2013!!! 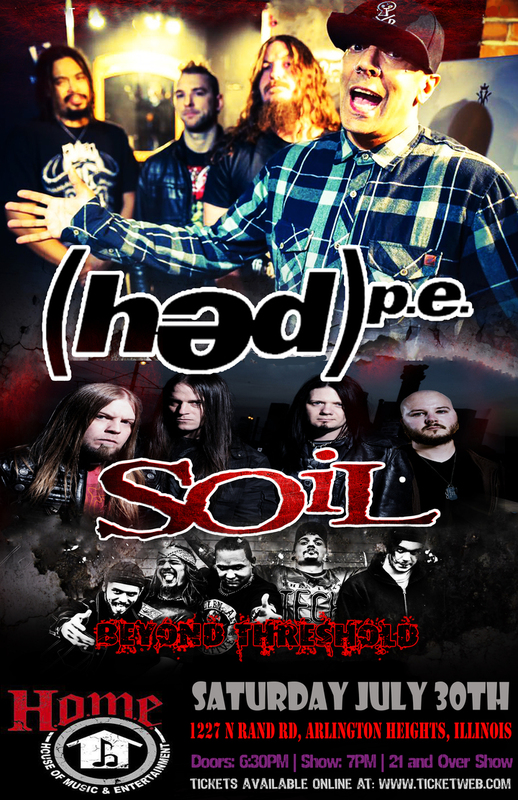 Posted in Music News | Comments Off on HED PE & BEYOND THRESHOLD at The Fillmor November 22, 2013!!! 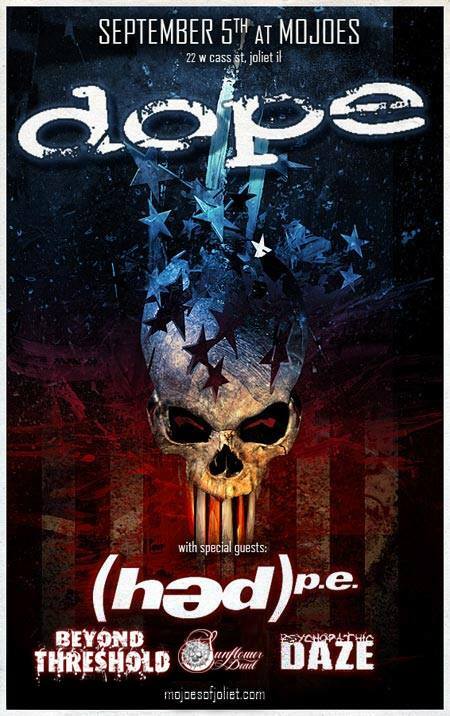 HED PE & BEYOND THRESHOLD at The Fillmor – Wausau, WI 10/22/2013!!! 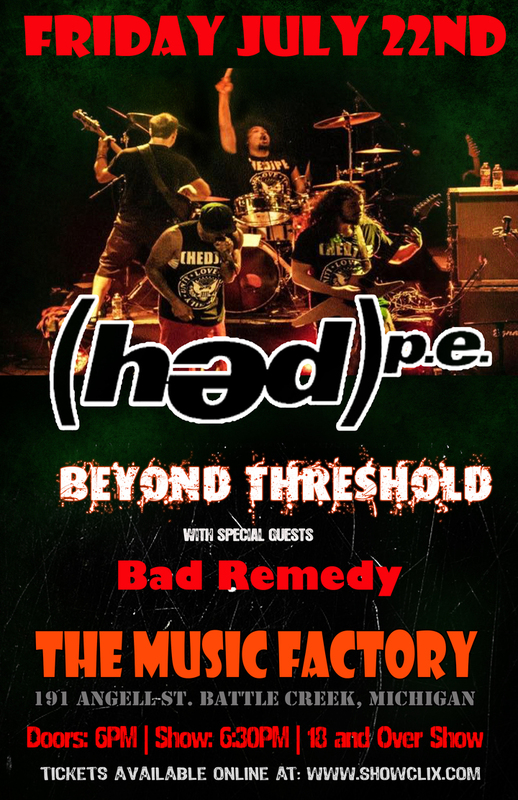 Posted in Music News | Comments Off on HED PE & BEYOND THRESHOLD at The Fillmor – Wausau, WI 10/22/2013!!! 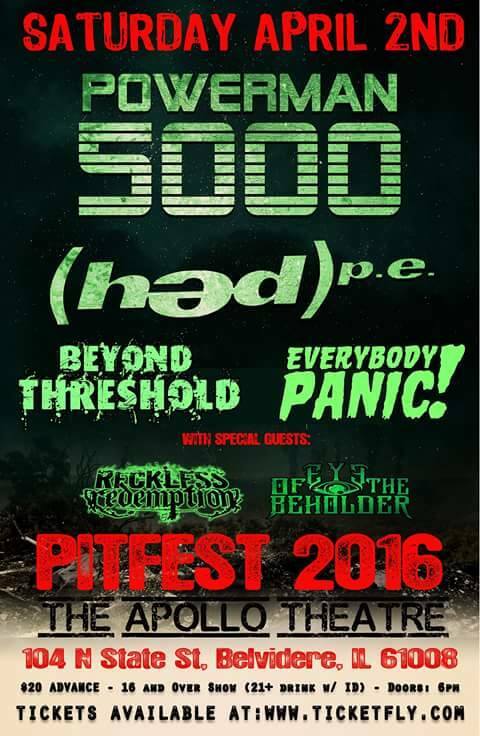 HED PE & BEYOND THRESHOLD at The Fillmor – Wausau, WI!!! 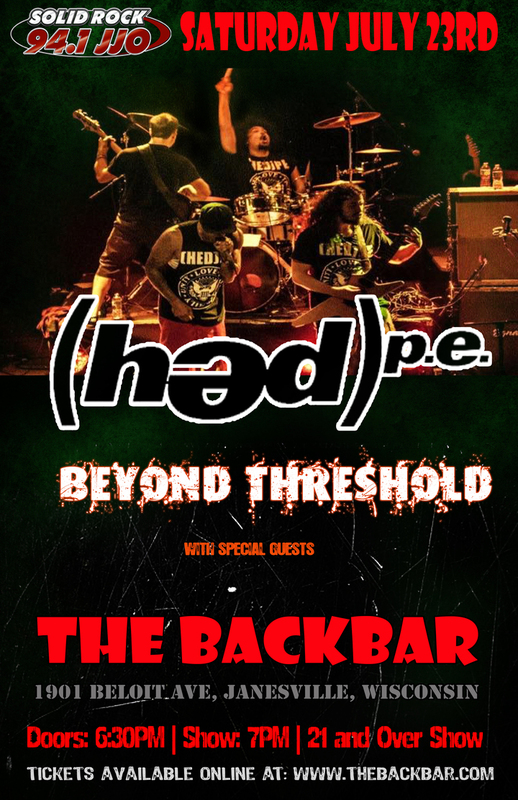 DOPE & BEYOND THRESHOLD @ The Backbar – Janesville, Wisconsin 10/19/2013!!! 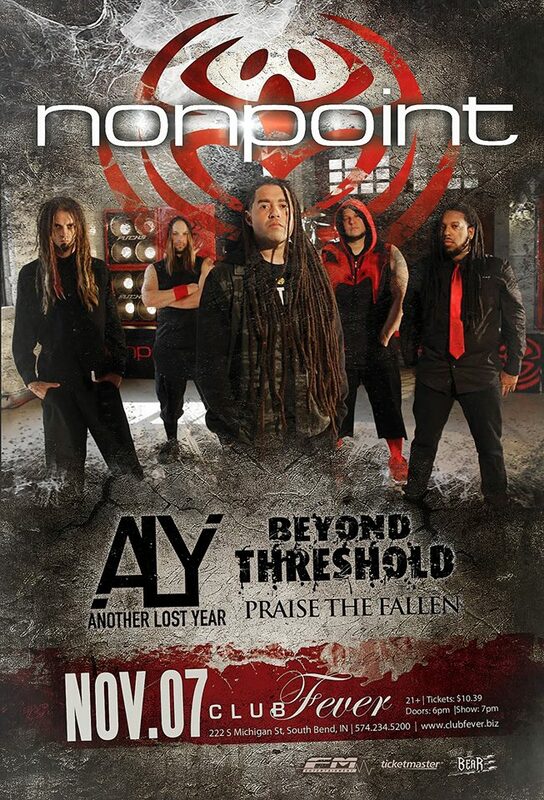 Posted in Music News | Comments Off on DOPE & BEYOND THRESHOLD @ The Backbar – Janesville, Wisconsin 10/19/2013!!! 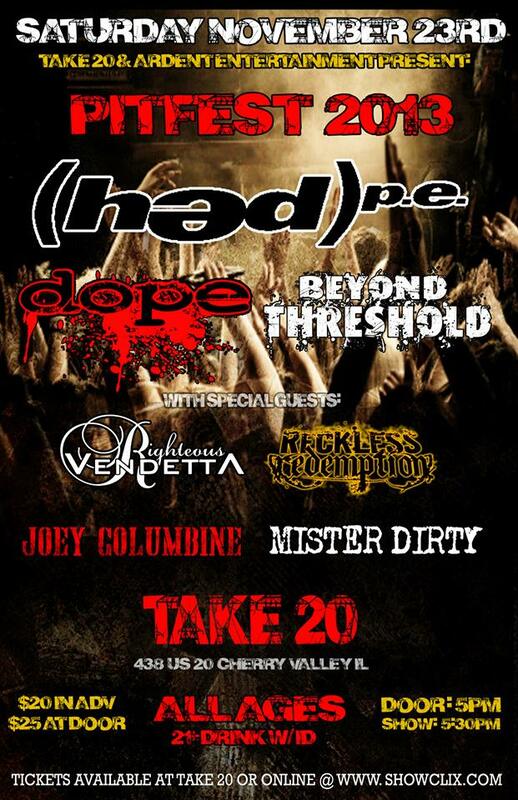 HED PE & BEYOND THRESHOLD wsg: Joey Columbine, Mister Dirty @ Take 20 – Cherry Valley, IL – ALL AGES!! 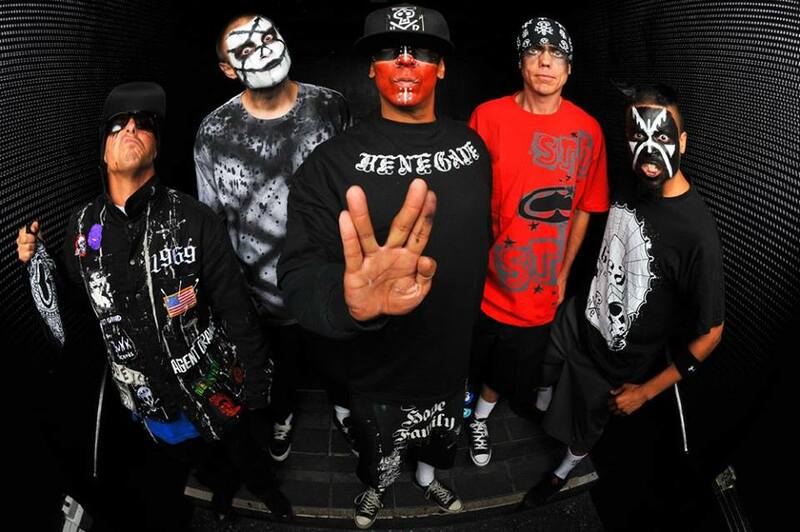 Posted in Music News | Comments Off on HED PE & BEYOND THRESHOLD wsg: Joey Columbine, Mister Dirty @ Take 20 – Cherry Valley, IL – ALL AGES!! Tickets on sale at Take 20 or www.showclix.com. 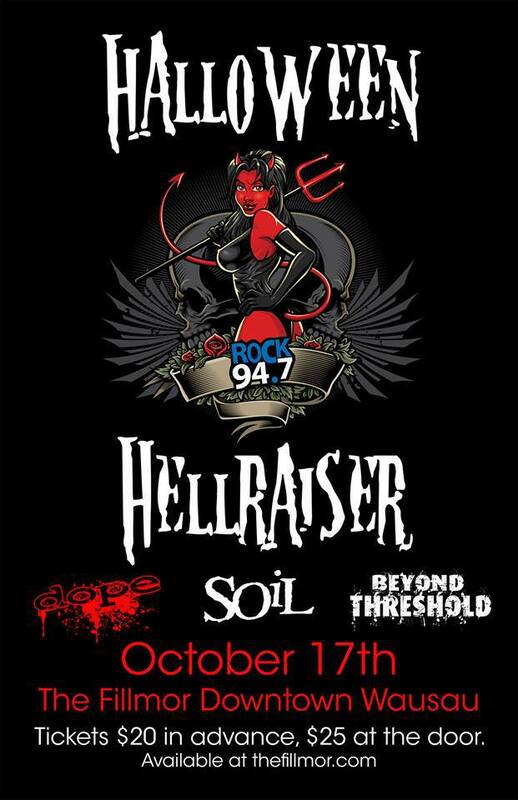 ROCK 94.7FM HALLOWEEN HELLRAISER w/ DOPE, SOIL, BEYOND THRESHOLD Live at the FILLMOR in Wausau, WI 10/17/2013!!! 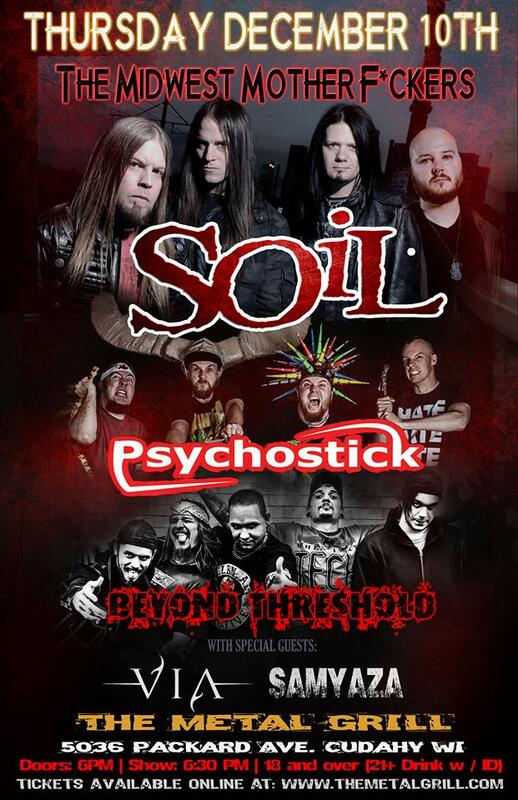 Posted in Music News | Comments Off on ROCK 94.7FM HALLOWEEN HELLRAISER w/ DOPE, SOIL, BEYOND THRESHOLD Live at the FILLMOR in Wausau, WI 10/17/2013!!! 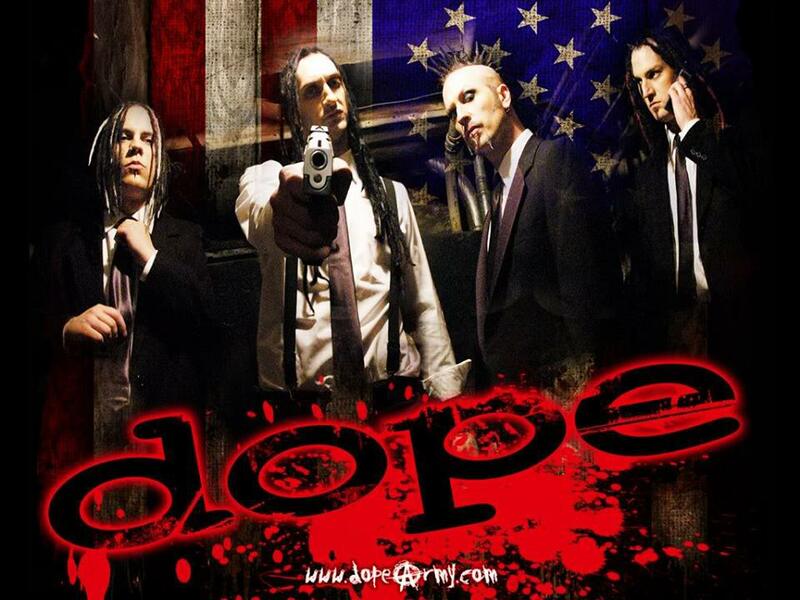 DOPE – SOIL – BEYOND THRESHOLD w/ LEAVING EDEN @ The Double Door – Chicago, IL 10/18/2013!!! 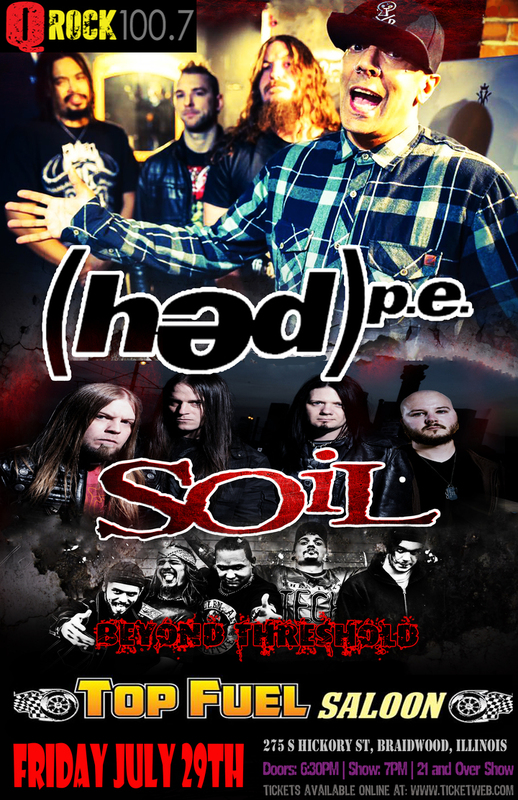 Posted in Music News | Comments Off on DOPE – SOIL – BEYOND THRESHOLD w/ LEAVING EDEN @ The Double Door – Chicago, IL 10/18/2013!!! Special Guests: LEAVING EDEN & TBA!! ♫ Show: 6pm. 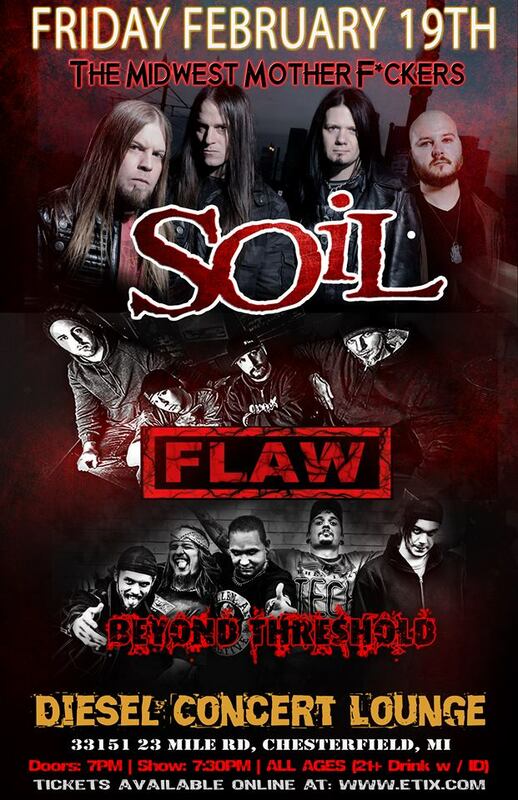 ✓Get your tickets NEXT WEEK this show will SELL OUT!! 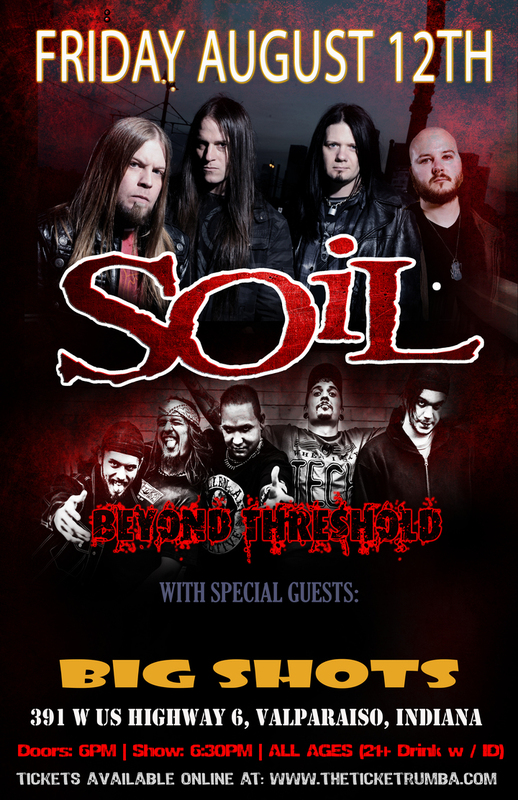 CHIMAIRA and BEYOND THRESHOLD Live at the BACKBAR in Janesville, WI 9/28/2013!!! 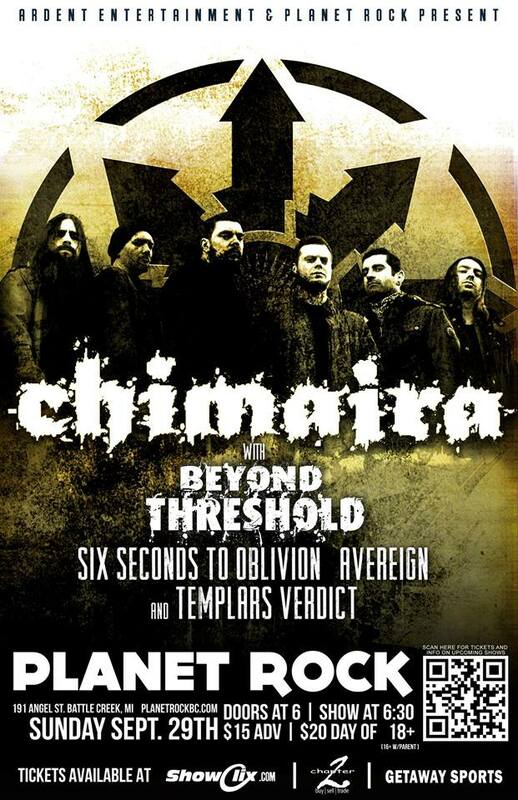 Posted in Music News | Comments Off on CHIMAIRA and BEYOND THRESHOLD Live at the BACKBAR in Janesville, WI 9/28/2013!!! ✓Get your tickets now tickets are going fast! 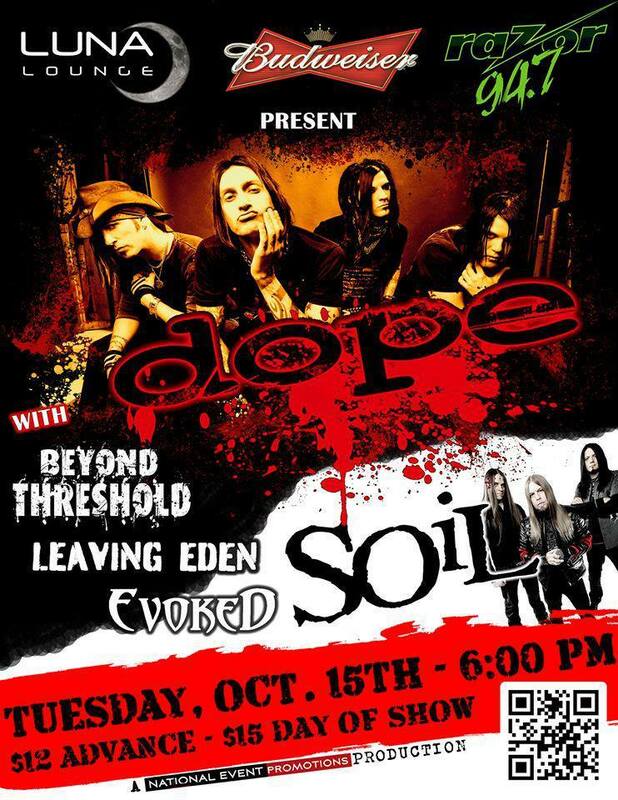 DOPE, SOIL, BEYOND THRESHOLD, LIVING EDEN, EVOKED – LIVE AT LUNA LOUNGE 10/15/2013!!! 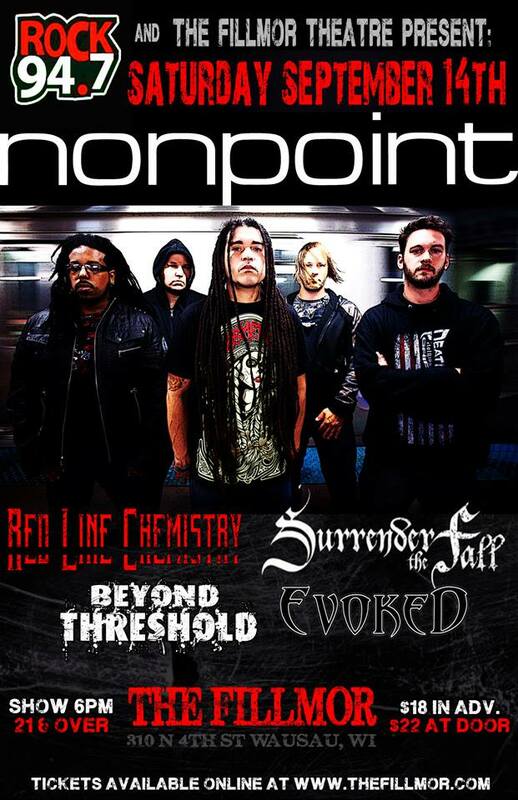 Posted in Music News | Comments Off on DOPE, SOIL, BEYOND THRESHOLD, LIVING EDEN, EVOKED – LIVE AT LUNA LOUNGE 10/15/2013!!! Posted in Music News | Comments Off on New CD review for BEYOND THRESHOLD “WHO WE ARE” in HAILS & HORNS MAGAZINE!! New Live BEYONE THRESHOLD for “FIRST BLOOD” Posted!! Posted in Music News | Comments Off on New Live BEYONE THRESHOLD for “FIRST BLOOD” Posted!! Here’s a sneak peak clip of BEYOND THRESHOLD’s – “FIRST BLOOD” Live from the “WHO WE ARE” Tour!!! Get ready DIEHARDS! 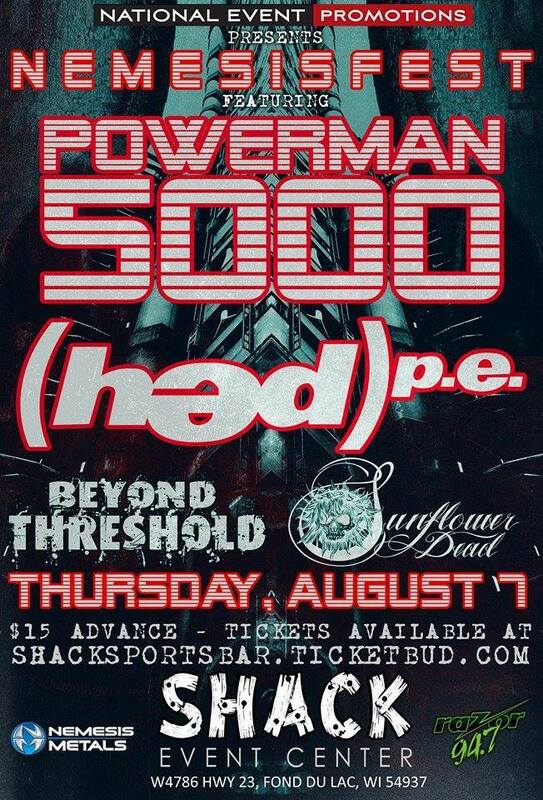 BEYOND THRESHOLD will be releasing their “DIEHARDS” DVD with Live Concert/Road footage from the “WHO WE ARE” Tour with all sorts crazy antics!! 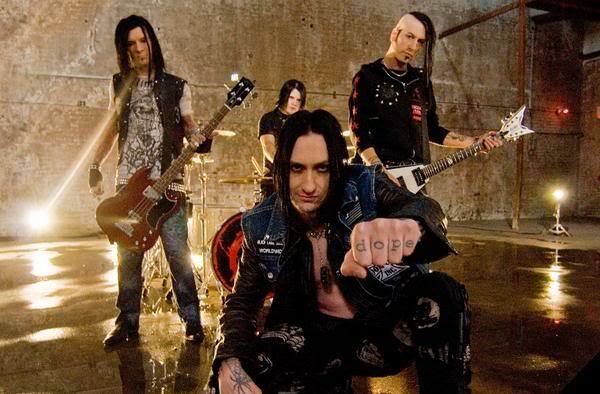 Featuring the Offical Music Video “DOWNSIDE! !” Stay Tuned Metal fans BEYOND THRESHOLD will be coming to city near you! !